It was really fairly simple to make and, once again, came out of my stash. The pattern is Bento Box. 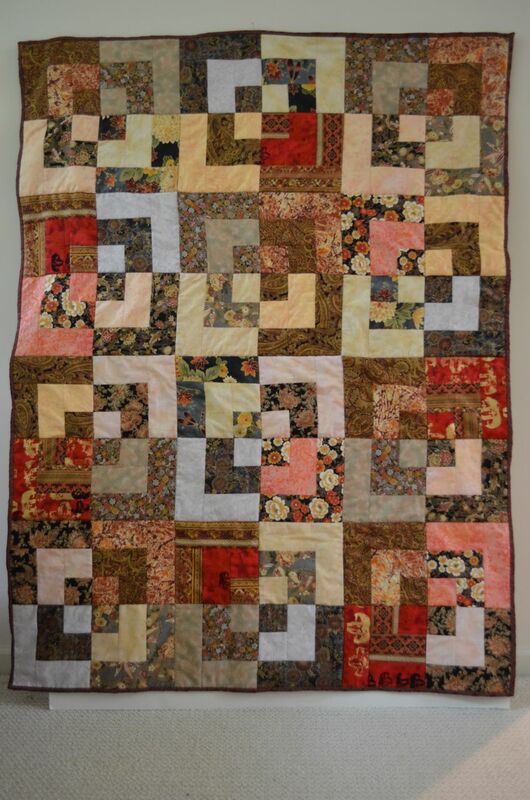 I had used it before to make a quilt for my son. This time I simply gathered some of my stack of random 'busy' pattern fabrics and then look for some solid color complements. You simply pair light and dark fabrics and then cut and sew. If you like the pattern, you can find it on Tracey Brookshier's website. Doncha just love the 'fractured 9-patch' technique? 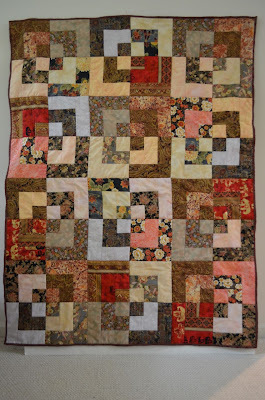 :-) I used it for one of my quilts for Japan last spring. Such fun -- and a great way to use up stash, and 'charm packs'!